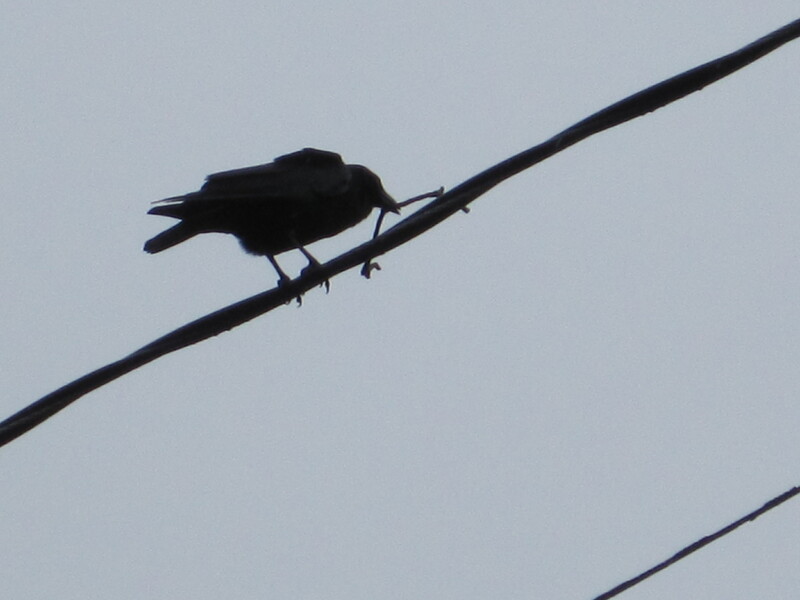 A couple of weeks ago I saw a crow pulling on a small tree limb. My excitement grew at the thought of baby crows. No photo from that moment but here is one so you can see what I mean. You ask what magic wand will turn sticks into baby crows? I have written several articles about the path to procreation for corvids. First find a mate, next a tall fir tree, then gather sticks to build the nursery and then settle in to grow a family. Here is what a stick nest looks like. 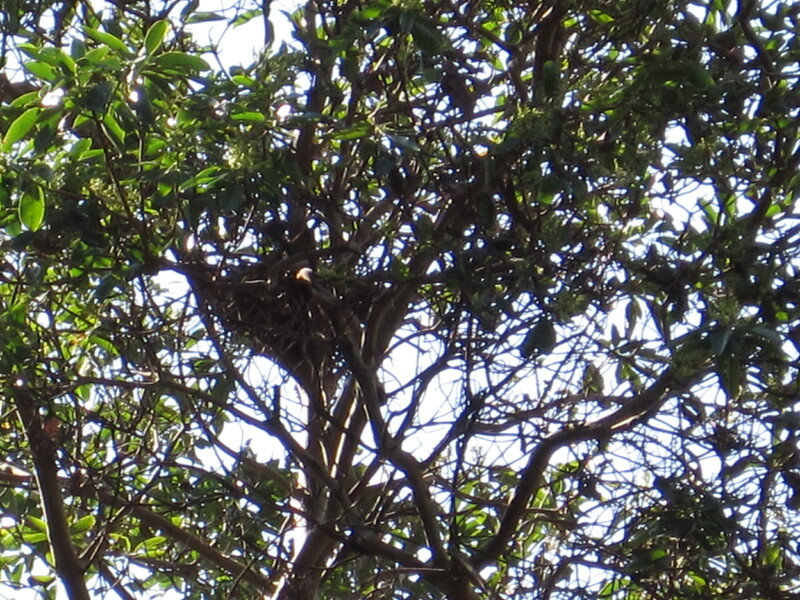 An example of a crow nest. Today I went on a quest to see and photograph crows gone sticking. In the back of my head I knew the odds were against me. Things like that are serendipitous. However, a girl has to try and all along my walk I stopped whenever I saw a family of crows. During one of those binocular moments, an older truck drove slowly up to me. The window rolled down and I was asked what did I see. The guy and I had a good talk about crows and I explained my quest plus the fact I probably won’t see what I was seeking. We had a good laugh. Then I noticed a penny on his running board and then another and another. He kept his change in the door handle so they spilled out at times. I told him he was in for a lucky day since of the 4 pennies 3 were lucky side up. He told me that his luck will give me magic too. Sure enough, not long after that I saw a crow in a tree poking around. By the time I got the camera aimed and going he was pretty done but you can get the idea of his search. This next video is from my post last year called the Stick Wizard. A short film from my second floor office in Renton. If you want to learn more about crow nests here is an article from the Crows of Arroyos archives. Keep you eyes open on all birds. It is nesting season and you will be rewarded with new life being created from your careful observation.